This is the Random Heli Low Profile Skid Clamp Assembly. This assemble is specifically intended for use with the SAB Goblin 630, 700 and 770 Class Helicopters, when equipped with the Low Profile Carbon Fiber Skids, as well as the Lynx T-REX 800 Ultra Profile 1 Skids and Goblin 570 Competition AFT Clamp. These clamps can be fastened down to create a safe base for securing your helicopter during storage or transport applications. The Carbon Fiber skids rest on a 45° 'ramp.' Attack self-adhesive grip discs (included) on the ramp to accommodate variations in skid thickness and provide a snug fit. Press down just forward of the logo on the clamp to close the skid clamp. The latch boss forces the skid down onto the base and 'ramp' and captures the bottom edge of the skid, preventing twisting. Video Note: Videos are for demonstration purposes only and do not feature the Goblin specific clamps, but holding strength and cycle durability still apply. Mounting Note: In order for the CF skid to fit snugly against the ramp feature of the Skid Clamp base, the Skid Clamps should be mounted square to the CF skid. 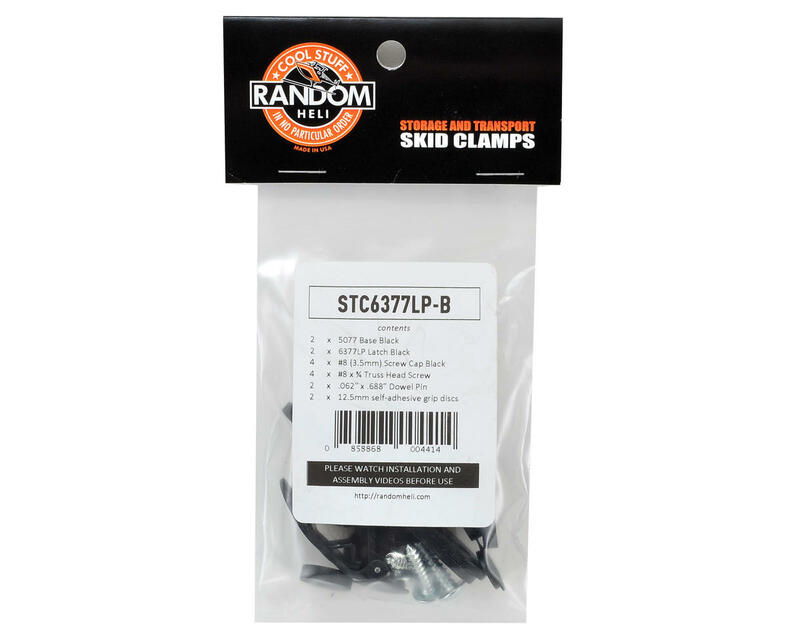 For Standard skids the Clamps will be in line with each other and form a rectangle. 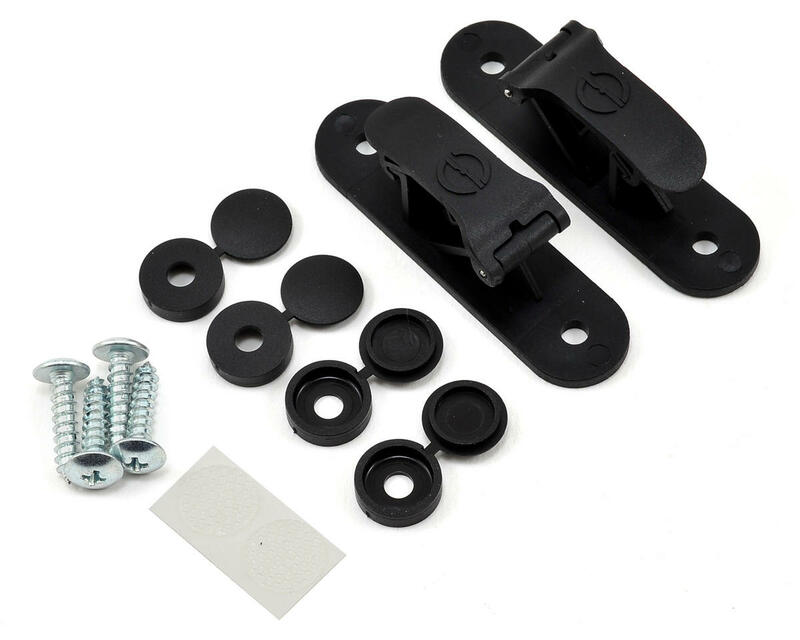 But for the low profile and competition CF skids, the Clamps should be mounted with the inboard mounting screw offset toward the tail of the heli. In all cases, the object is to mount the Skid Clamp square with the CF skid.